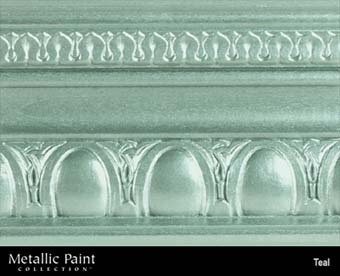 Paint Colors :: MANUFACTURERS :: MODERN MASTERS :: Metallic Paint Collection :: MODERN MASTERS METALLIC PAINT 99821 ME-249 TEAL NT SIZE:6 OZ. MODERN MASTERS 99803 VP-100 VENETIAN PLASTER TINT BASE SIZE:QUART. WOOSTER J4621 PRODUCTION PAINTER WILDCAT HOCKEY STICK ANGULAR SASH SIZE:3" PACK:6 PCS. WHIZZ 25025 PREMIUM GOLD STRIPE FABRIC COVERS SIZE:6" PACK:10 PCS. MINWAX 61470 GLOSS CLASSIC OAK 470 POLYSHADES SIZE:QUART. WOLMAN 259667 SEMI TRANSPARENT NATURAL CEDAR DURASTAIN WOOD STAIN SIZE:5 GALLONS. KRYLON 7314 SPRAY APWA GREEN MARKING CONTRACTOR WATER BASED SIZE:15 OZ. SPRAY PACK:6 PCS.